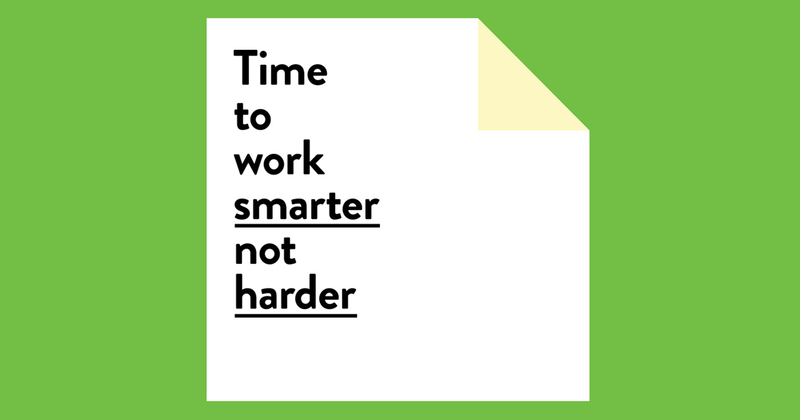 I ran a productivity workshop in the studio a while back to discuss how we can work smarter. It feels today that in the average office environment that a hell of a lot of time is wasted in needless meetings, endless emails and with constant interruptions. So we explored if there are different ways we can approach the way we work in the studio and between us we discussed a bunch of ideas to consider. Here are seven of the most popular. More than 3 key items will just overwhelm you. Aim to do the first one before 11am and before you open up your email. Otherwise you'll get sucked into the vortex and you'll end up chasing the day. The former disrupts your priorities and plans for the day, and the latter just keeps your mind buzzing with thoughts late into the night. Opening up your email can wait until at least 11am, after you’ve ticked off one of your key items off the to-do list. It's been noted that to get in the 'zone' with a particular task, working uninterrupted for this amount of time brings about great results. When we work more effectively we get more done. The last thing we need when we are in the 'zone' is having a bunch of messages popping up on our phone. This little technique alone will reduce the amount of distractions and keep you focused on the task at hand. I've recently taken off all notifications except for text messages, but even then I've turned off the sound and vibrate so I'll only see them when I look at my phone (which is normally in my pocket). Working flatout all day doesn't guarantee you'll produce more work. In fact it's quite the opposite. We've all had days where we've sat in front of the computer for the entire day and got nothing done. Take a break, it'll pay off. This has the potential to save you a ton of time. By leaving email to set times throughout the day and focusing on your 3 key to-do items you'll finally feel like you are doing the important stuff, rather than reacting to manufactured emergencies. Set up a strategic autoresponder and check a few times each day (I've found 12pm & 4pm gets the best results for me). Check out some good (and bad) autoresponders here. If the desired outcome is set out well with a clear objective and agenda listing topics/questions to cover, no meeting should last more than 30 minutes (we found this egg timer works a treat). It's best to ask for the agenda ahead of the meeting so you can best prepare and make good use of the meeting together. This video from David Grady hilariously sums up how bad meetings can get. Those hints and tips are just a few of the things that we discussed during the workshop. I was first inspired to explore smarter ways of working after reading Tim Ferriss' 4 Hour Work Week (which is well worth a read). Also, this TED Talk from Basecamp co-founder Jason Fried shines a light on the amount of time that is wasted in offices and offers some simple tips.